When you need high quality garage door replacement parts in Sioux City, look no further than Siouxland Garage Door Garage doors can undergo a lot of wear and tear after years and years of daily use. Fortunately, when you need to replace any part of your garage door, Siouxland Garage Door will provide you with the parts you need with reliable, efficient service. From garage door spring replacements to garage door replacement panels, we have it all and we look forward to assisting you with your garage door needs! At Siouxland Garage Door Inc., we offer the highest quality garage door replacement parts for a variety of different garage doors and garage door openers. 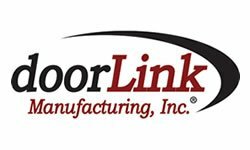 Let us provide the best products and services for all of your garage door needs in Sioux City, IA, Council Bluffs, IA, and the nearby areas. We are not a retail store. 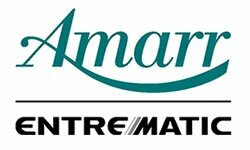 We are strictly a service company offering some of the best products, services and warranties in the industry. We service most brands of garage doors and operators of garage doors. Our technicians carry all our parts on our trucks. No matter what changes you need to make to your garage door, our experienced garage door technicians can provide the efficient workmanship you can rely on. 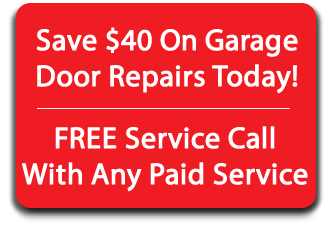 Don’t let a slow, creaky, or broken garage door interrupt your daily routine. 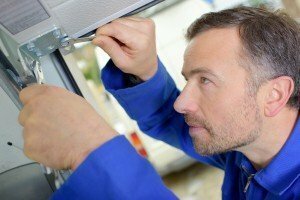 If you think your Sioux City garage door needs repair, give us a call and we can quickly identify the broken or damaged part, suggest a replacement, and install it to completion. It’s a simple as that! From making your garage door more weather resistant to repairing or replacing broken springs, cables, or pulleys, we have the parts necessary to fix your garage door the very same day. Get your next garage door spring replacement or garage door panel replacement from Siouxland Garage Door, Inc and your satisfaction is guaranteed. Our primary goal is to ensure your satisfaction by providing the highest quality garage door replacement parts at affordable prices. Whether you need torsion springs, end bearings, hinges, rollers, and panels, we can supply you with the right garage door parts at the best prices. Our quality products combined with our outstanding customer service means you will have the best garage door in town, guaranteed. Siouxland Garage Door is the most trusted name in Sioux City garage doors. We have all the garage door replacement parts you need! We are strictly a garage door company offering same day service. Give us a call and one of our friendly, experienced team members will help you with all of your garage door replacement needs. When you need garage door replacement parts in Sioux City, give us a call at 712-252-4444 today! For BIG, hot specials, email us now!